The Government of India even do take care with interest of micro minority / mallest communities in India. There are many facilities being provided by the Ministry of Minority Affairs, Government of India. In case of Parsi Zoroastrians community, which is accounted as most micro minority community in India to influence the boys and girls to get married at an early age, produce more children and increase the population. A question is raised – whether the community by name Parsi Zoroastrians in India is a Minority community. Answer is big NO. They are accounted under head “Others”. This was brought to the notice by Mrs. Pearl Mistry, Counselor of Jiyo Parsi Programme, being undertaken by PARZOR Foundation under influence of Ministry of Minority Affairs, Government of India. She had highlighted in an opening of the event speech that Parsis Zoroastrians according to latest 2011 census, Parsis in India are accounted at 57,264, against one of the earliest census in 1941 at 114,000. May be by 2021, when the pupulationof India will be at 1.3 trillion, 130 crore, the number of Parsis expected at 58,000 for which increase there are number of schemes being mooted by Ministry of Minority Affairs, Government of India. The population of Parsis in India is at present level of 00.0048% of total population of India. Parsi community is not placed as a Minority since they are less than 100,000 population. They are accounted as part of the class of minority community under head “Others”. An idea of arranging Matrimonial Meet was mooted by one Mrs. Kety Daruwala, a Trustee in Ahmedabad Parsi Panchayat as also holding Trusteeship with many other trusts in Ahmedabad. Her idea was not accounted seriously, however, when she approached likeminded private other trusts in Ahmedabad since major requirement to arrange such a meet was Finance and Physical attendance. Both came to her rescue – a trust by name D&MGCT – Dhanjishaw and Manijeh Gamir Charitable Trust when one of the Trustee – Mr.Porus Karanjawala was there [He died in last August only], decided to offer financial help, while physical work was accepted by a group of young generation – PYLA – Parsi Youth League of Ahmedabad. The testators of the trust, late Dhanjishaw and Manijeh had no children but keeping in mind todays reality of having married life and children, to keep on population of the Parsis at a reasonable level had created the trust with one of the objective which was fulfilled by the present trustees. The initiative work of the meet was started way back in July this year – 4 months before schedule meet took place on 27th and 28th October 2018. Tragic death of Porus during last August was main loss of guidance, however, other trustees, Mr. Aspy Bharucha and Mr. Jamshed Shroff took initiative to make the event successful. It is rightly said that for a good cause the Great God always remain present to help. Accounting this in mind, PARZOR, Jiyo Parsi joined as co-ordinator of the event. Their contribution was widely accepted by the Trustee – Mr.Aspy Bharucha in his opening speech of the session on 27th October. There were 144 registration took place, out of which 112 confirmed to participate. The ratio was like 1 girl to 3 boys. There were 31 girls confirmed to attend against 81 boys. However accounting few to drop out and few to join on last movement, there were almost 111 participants between 31 girls and 80 boys. The participants were from across India, accounting main cities – the host Ahmedabad, then Mumbai, Surat, Hyderabad/Secunderabad, Pune, Navsari, Jamshedpur, and many. The organisers had meticulously planned participants stay at one three star hotel with all relative requirements like stay in, food, conference, etc., etc.. Very first night stay was accounted with fun and food – dance and dinner at a community’s place at Kankaria Zorastrian Hall which was bigger to enjoy. The main theme in having two days stay was that far off from places when young generation came to a purposeful event should know each other well, have enough dialogued and personality exchange, etc.. The two days events went with opening session, serious warming of the session, self-introduction, games, knowing liking and disliking and few debatable points accounted. Most important debatable points were from each side – from Girls – it was “Boys are Mama’s pet” and “Girls are Fussy”. Total participants were divided into 9 groups, and each groups were asked to present issues both in favour and against, of course each side presented very well present burning issues within the community. Boys had flatly refused to accept the version “Boys are Mana’s pet”. Good debate took between the 9 groups and was Boys argued against such a belief and proved to the level that “Boys are not Mama’s Boys”. Likewise, Girls also refused with the version that “Girls are Fussy”. Most of the girls today are highly educated and that by any chance they have their high standard requirement. They don’t like at all to be called “Girls are Fussy” in as much as they are better of in education, professional and or employment career, earning good salary and would always love to see that their counterpart is equally carries higher education, good employment with descent salary, etc… Any refusal from the girls should not be accounted as “Girls are Fussy”. By any standard, they are having higher choice and understanding likewise seen in other communities as well. . The participants, both Boys and Girls, at the event were well balanced accounting Education, and placement as either employment or professionally. Equally they were at part. Also they were well placed both in Professional as also Employment Career with higher income earning. The average age group amongst the boys was around 33 years whereas in case of girls it was around 25. Both gender were found equally good in games both mental strain and physical strain were decided. The fun and joy during both days shared by each one as great event with good harmony amongst themselves. Many have closure to each other though they stay apart from one corner of the country to another one, as also within participation from own city, they have come together first time. Two days sessions ended with quite good result. The organizer could know at the end of two days event that there were two couple could confirm that they have found right type of their match and decided to be united soon. There were other 7 also equally found their choice of mate to decide in near future of their united life. The participants liked the session of “Self Introduction of Married Life” wherein, three couple from Ahmedabad were selected – one with 42 years of marriage anniversary and when both were from different places across India with almost 1400 km., distance, second with 31 years of marriage anniversary, being well settled in their family a career, and third one with almost 16 years of marriage anniversary well placed in business established. Each one narrated how and what adjustments were made by them for their successful married life. The Feedback was collected from each of the participant to arrange next session better than the one held recently. This was the 5th such session arranged in last 2 decade in Ahmedabad. Most of the participants have offered “Good” to “Very Good” ratings. Each one liked arrangement made by the Organiser and commended the work performed by the volunteers. Most of the participant opined “yes” when asking their views on the event whether they have been satisfied and gained out of the event. Mr. Aspy Bharucha the trustee and convener of the event thanked all participants particularly those who had come from far off place. He thanked personally each of the organizer – Mrs. Kety Daruwala, and Mr. & Mrs. Jamshed Shroof, and volunteers with whose help the success of the event had taken place, to name few – all PYLA committee members, Mr. & Mrs. Arize Bokdawala, Hoshedar Daboo, Cyrus Darwalla, Bomi Shethana, Mrs.Pearl Mistry from JIYO Parsi office at Mumbai. He thanked Mrs.Pearl Mistry who stayed with the event for two days and conducted various sessions which were of very high standard to understand what the Government, Jiyo Parsi are and would like to do for the community. Hourly need for our Parsi young community members is that boys and girls getting married at right time of age. Many young boys and girls [male and female] in absence of closeness amongst community members within same city, or are places far off residential place, not aware of right individuals who are ready to get married and start their own life. It has been a long that Ahmedabad had organized such events three times during last two decades. Once again few likeminded individuals now well settled in their own life would like to arrange such a Matrimonial Meet for deserving Parsi Boys and Girls to establish their married life. The idea is floored by one who had undertaken such an event previously. Today same idea is well supported by many who would like to see next generation well set in their respective married life. This idea is well supported by a trust Dhanjishaw and Manijeh Ghamir Charitable Trust [Ahmedabad] and PYLA [Parsi Youth League of Ahmedabad] are organizing this meet at Ahmedabad, for two days on Saturday-27 / Sunday 28 October, 2018. The event will take place in a Hotel for both the days where even lodging / boarding faciliites are arranged for the participants. The participants will have to arrange their own for to / fro journey. For any further information and details of this meet could be collected from Mrs. Kety Aspi Daruwala, Ahmedabad [11-B Nilkanth Colony, Kankaria, Ahmedabad [380 022] Cell Phone +91 99099 51509] or from Mr. Aspy Nariman Bharucha, Ahmedabad, using email id – aspy.bharucha@gmail.com and /or aspy@bharucha.co.in. We shall appreciate, if you kindly highlight the above in your esteemed weekly newspaper and oblige. We shall intimate in due course of the event proposed for your editorial staff to participate. Matrimonial meet – Ahmedabad – 2018. We have almost completed a Survey based on DATA, OBSERVATIONS that has led to FINDINGS. If the community of Parsi/Irani/ Zarthustis wish to SURVIVE they would need to develop responses to the findings in a UNITED WAY and implement responses just as we do in American Corporations and Organizations that wish to survive changing times. Some of the findings are similar to those already identified in Delhi University Report, TISS report, Roshen Rivetna’s presentation…but what this report does and is different from others is that it has identifying priorities, importance, based on actual numerical data in scientific, sociological, religious terms. This survey has been verified and validated and it was done in 30 days. In the USA TIME IS MONEY it is our most precious commodity. Please fill one out so that you can experience the variables that have been considered. Have a wonderful NEW YEAR at Zoroastrian Studies. If the government’s $1.6 million programme to arrest the decline of numbers in the Parsi Zoroastrian community, by offering the best in IVF expertise, is to be a true blue success, bachelorhood can no longer be a Parsi mainstay. Mumbai-based model, television actor and bachelor Viraf Patel understands this. When his friends and family didn’t tire from coaxing him to “find a nice Parsi girl”, Patel began to seriously ponder on ways to meet and greet. “The best way to get to know someone is by communicating,” says Patel, who then struck on the idea of an app that would help community members connect. A bawa wearing a white bandhgala coat with cylindrical black hat driving a gorgeous vintage car overloaded with a garadraped wife and squabbling kids: that’s how films in the early ’80s portrayed the Parsi Zoroastrian community. Cut to 2015, and the picture is quite the opposite. As per data received from the Parsi Panchayat in Khamasa, there are just 1,600 Parsis living in the city and their numbers are fast dwindling. Against two deaths every month on an average, only six babies are born every year. There are approximately 27,000 Parsis living in Gujarat while around 42,000 live in Mumbai and Pune. They are in danger of becoming extinct as the fertility rate continue to drop alarmingly. However, the community is actively trying to stop their population from flatlining. Brigadier (retd) J P Anklesaria, president of Ahmedabad Parsi panchayat, said, “The main reason behind fall in population is that our men and women marry too late. They want to pursue higher education, then focus on career. Late marriages and attempts to conceive at a late age are the two major causes of low fertility and low childbirth rate.” The average age of marriage of a Parsi girl is 29-30 and a Parsi man is about 35 years. The fertility rate (average number of children that would be born to a woman in a lifetime) among Parsi women in the reproductive age has dropped from 0.94% in 2001 to 0.89% in 2011. According to community leaders, this has dropped further to 0.8 which is way below the required rate of 2.1% to replace the existing population. This means, on an average, a Parsi woman has less than one child (0.8) in her entire childbearing age. In addition 21 % of males were found to have a low sperm count. The study found one among every 10 Parsi women was childless, which is twice the level of childlessness among Indian women. Many of them were unable to conceive due to uterine issues. The problem is so grave that even President Pranab Mukherjee referred to the declining population of the community and said that this “phenomenon needs to be addressed – very pragmatically and sensitively”. The Ministry of Minority Affairs launched a scheme ‘Jiyo Parsi’ in 2013, under which, Rs 10 crore will be spent over four years to reverse population decline. It has a two-pronged approach: the first includes promoting early marriage and multiple children; the second, free fertility treatments are offered to couples. Khushnum Avari, former president of Parsi Youth League of Ahmedabad said, “Most Parsi families are highly educated and wealthy. The youths have a high standard of living. The high degree of individualism, difficulty in finding suitable partner and increasing acceptability of singles restrict our growth.” Sharing another reason, Khushnum said, “Parsi girls from Delhi and Mumbai do not want to move to cities like Ahmedabad, Surat and the southern belt of Gujarat. This creates problems in finding partners.” Here’s where PYLA plays an active role. Current president Ariz Bokdawala said, “Surat and Mumbai have colonies, societies and bars where young Parsis connect. However, rarely does an inter-community interaction take place in Ahmedabad. So, we began organising New Year celebrations, campfires, sports activities and cultural activities so that people can mingle with each other. Though the event is meant for youths, we do not bar anyone from joining.” Currently, there are 400 PYLA members who regularly attend gatherings. Bokdawala added, “We realised that many were unaware of other Parsis in the city. World youth congress in Auckland in December is a bid to get followers to marry within the faith, writes Lincoln Tan. One of the world’s oldest religions is facing extinction, and will be fighting for its survival in Auckland. Zoroastrianism, founded about 3500 years ago and considered to be among the world’s oldest monotheistic religions, has a tiny number of followers here. But that number is also shrinking, dropping from 1071 in 2006 to just 972 at the last Census. 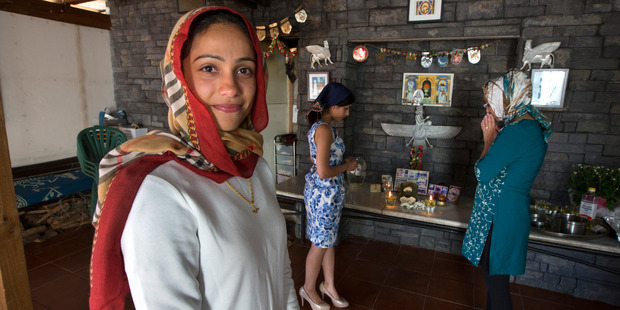 In India, where most Zoroastrians live, the numbers have halved since 1940 to about 61,000. They believe in one god, Ahura Mazda, and follow the teachings of ancient Prophet Zoroaster. They worship in fire temples, believing fire to be a symbol of God’s purity. The religion has its roots in Persia and adherents are also known as Parsis. The community will be organising a world youth congress in December, to be held in Auckland, in a bid to get followers to marry within the faith. Navsari, a place also known as Dharam Ni Tekri by many. Land which gave this society very known and Famous personalities. On 21st March about 2000 people witnessed a A very Historic moment which shall be remembered by many of us, where 11 children from poor families were initiated into Zoroastrian faith . A deserving Parsee couple was sweared in as Husband & wife. This noble deed was taken care of by MR. HORMUZ AVARI, many more people who flawlessly contributed to this noble deed. A small town like ours sets an example for the rest of the community to do something like this to encourage today’s Youth by welcoming them into Zoroastrian faith. Lavish food was served to each one present for the function. An evening that indeed was a memorable one. An evening that proved once again that Parsees are born to do charities, what other example than this.Thanking each one from our heart to give us a wonderful evening. Prominent Iranian playwright and director Bahram Beyzaie will stage reading performances of his latest play “Ardaviraf’s Report” at Stanford University on January 24 and 25. The play is based on “The Book of Arda Viraf”, a Zoroastrian religious text from the Sassanid era in the Middle Persian language. It is considered an early precursor to Dante’s “Divine Comedy”. “Ardaviraf’s Report” will be performed at the Cubberley Auditorium of the university in the Persian language. Ardaviraf is Bahram Beyzaie’s theatrical rendition of an ancient Zoroastrian text that chronicles the journey of Ardaviraf to the other world where he travels through paradise, purgatory and inferno. Considered an early precursor to Dante’s divine comedy, Ardaviraf meets many of the mythic and historic figures of Iran in his journey. The play will be in Persian. Beyzaie previously performed a shadow play performance of “Jana and Baladoor” at the university in June 2012. “When We Are All Sleeping” was the last film Beyzaie directed in Iran in 2006. A few years after, he left the country to pursue an educational career at Stanford University as a visiting professor of Persian studies in the United States of America. Considered as one of the most intellectual auteurs in Iranian cinema, Beyzaie has written and directed several films including “Killing Mad Dogs”, “Travelers”, “Bashu, the Little Stranger”, “The Journey” and “The Downpour”. We have a trust called the Kalyan Parsi Anjuman where we have an Agiary and two charitable buildings meant only for Zoroastrians. If any couple is not getting married because they don’t have a place to stay, please do get in touch with me and I will be happy to help by granting you a tenancy in a flat at Kalyan. Needless to say this would be completely free of cost other than the monthly rentals. You may get in touch with me at telephone number +91 66378434/5/6/7. Our offices are situated at 24, Callicut Street, Ballard estate, Mumbai 400001.